There are many websites out there that make promises that lead one to believe that Forex trading is so easy, you can just set a computer program to do it for you and enjoy the rest of your day. What these sites are not telling you is that the success rate that these programs have is roughly 55%, which means, at the end of the day, you pretty much break even. The programs themselves are called robots, named for their seemingly automatic performance of a task that takes some kind of intelligence to do. What they offer people is a quick fix for something that should never be takes so lightly. Trading your own money is serious business. It is crucial that when you do so, you do so with care and thought first. I read an article several months ago in FX Week, a popular Forex Market periodical that showed the results of a test that MIT students conducted. MIT is a notable US University, the Massachusetts Institute of Technology, where some of the brightest and most talented mathematicians and scientists can be found. The students took a monkey, a 2 year old, and a Forex Robot and pitted them against one another in several Forex Trading tests. The result of these tests was fascinating, the 2 year old, who had a video game like controller, doubled his money in four hours while the monkey – using the same controller, lost about 30%. 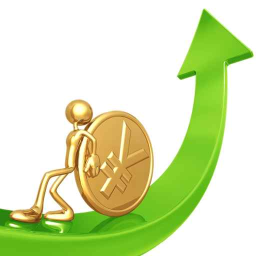 The Forex Robot made 3% in the same period having a wider variety of Forex currency pairs to choose from. The next tests limited them all to one currency pair and the controller that the child and monkey used could open and close the position – the Forex Robot was programmed to only focus on this pair as well and they set a 1 hour timetable for the test. The end result was that the Robot failed and the child, once again had the most success. They all lost value overall, but the child lost less than 4% whereas the Robot had an 8% drop and the monkey a 20% drop. So, the lesson you can learn from this, do not waste 200-300 Dollars on an automatic program – Forex trading is more complex than that and to truly succeed, YOU need to make the decisions. And while it seems that Forex trading is child’s play, you still could do a lot better if you knew what you were doing.